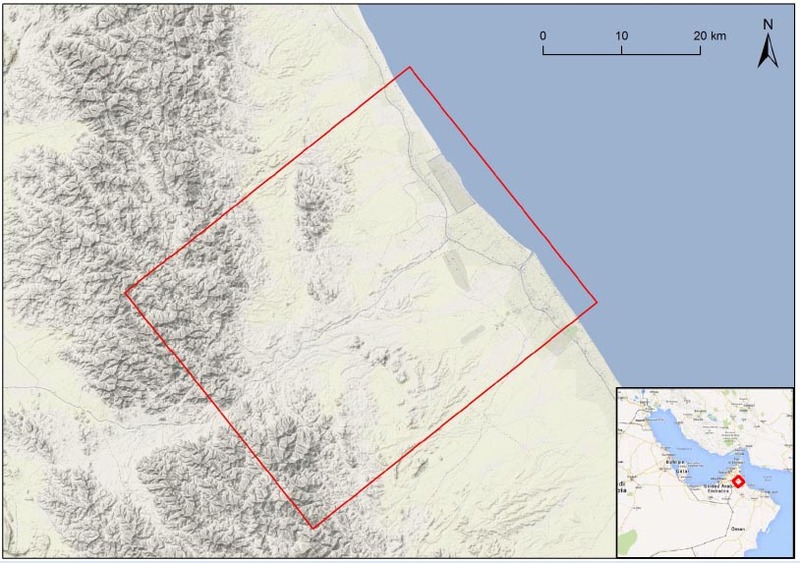 The Wadi al Jizzi Archaeological Project investigates an area of about of 1400 km² in the Sohar hinterlands running from the foothills of the Hajar al Gharbi to the Battina Coast. The Wadi al Jizzi Archaeological Project research area. The region is historically important for a number of reasons. First, the Wadi al Jizzi constitutes a major natural route through the mountains, and one of the few such passages in Oman. This route connecting the interior and the coast has been important for traders, travelers, and pastoralists through the ages. Second, the catchment of the Wadi al Jizzi is a very large one. This has led to relative abundance of water in the Sohar region, especially in the form of ground water near modern Sohar, and this has ensured that Sohar was one of the most densely populated locales along the Batinah coast throughout history. This in turn made it possible that Sohar briefly became the paramount trading city of the Gulf region in the 10th century AD. The capital generated in this brief period of florescence might have been in part reinvested in the development of the agricultural hinterlands, and has been linked with the construction of the Falaj al-Mutarid: the largest irrigation system in all of Oman stretching some 35 kms, which functioned from ca. 1000-1500 AD. Third, in the Hajar al Gharbi foothills behind the Sohar coastal plains important copper ore deposits are present, which have been mined from the third millennium BC up to the present. The presence of these ores, in combination with the presence of water sources in the same area, explains the occurrence of numerous archaeological sites and ancient mines in this landscape: including well preserved villages such as those at Zahra and the Lassail Mine, which have already been documented by various scholars. The prehistoric exploitation of copper might link up with historical sources. There are good arguments to associate northern Oman in general, and the Sohar region in particular, with the land of Magan, a major copper source in Mesopotamian texts. The Wadi al Jizzi region includes a large range of ecological zones, each with specific opportunities and affordances, many of which would have been complementary. Historically there were economic and social links between the coast and the mountains, with various activities taking place in the intermediate plains. There is every reason to postulate that similar linkages existed in earlier periods. Therefore we have designed the survey for a broad region from the coast to the mountains. Likewise, one of the questions we would like to investigate is whether the natural route along the Wadi al Jizzi differs in types or densities of archaeological features from adjacent parts of the Batina. Therefore we have included an area broader than the Wadi al Jizzi corridor in order to facilitate this comparison.